#9 – Why You Should Come To Disney World For The Holidays! Countdown of 12 Reasons of Why You Should Come To Disney World For the Holidays! 9. 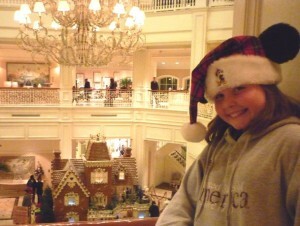 To see, smell and have your picture taken with a Real Giant Gingerbread house at Grand Floridian Resort! Contact dvp@mprhodes.com to be there! This entry was posted in Deluxe, Grand Floridian Resort & Spa, Resort Hotels, Uncategorized, Walt Disney World and tagged Gingerbread, Holidays, House on July 16, 2013 by disney. My love of all things Disney started in the 1960s. I could hardly wait for Sunday night’s Wonderful World of Disney. Walt would sit on the corner of his desk, telling us all that was being created. It was magical. I dreamed of one day first hand experiencing this magic. In 1978, I took myself to Walt Disney World in Orlando. As I purchased my E ticket I knew beyond those gates my life would change. It did I was full on hooked. Sadly, the Magic Kingdom Park (the only park) closed early that night due to President Jimmy Carter’s daughter, Amy visiting that evening. I was heartbroken as I didn’t get to experience the fireworks or the Electric Light parade. In 1998, I gave birth to my daughter. I promised myself I would always take her to Disney World. Well, I just completed my 101st visit and my daughter, Katie has been there 99 times. We celebrate each birthday, Halloween, Christmas and year end of school in the most magical place on earth. This entry was posted in Uncategorized on March 17, 2013 by disney. #7 – Why You Should Come To Disney World For The Holidays! #8 – Why You Should Come To Disney World For The Holidays! 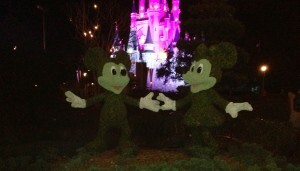 #10 – Why You Should Come To Disney World For The Holidays! Wenchang on #7 – Why You Should Come To Disney World For The Holidays! Balancy on #8 – Why You Should Come To Disney World For The Holidays!